Cashing in on pirate-free seas Jump to media player Fishermen in Somaliland hope waters free of pirates will give them a lucrative future, reports the BBC's Tomi Oladipo. Somaliland XI v South Wales Police Jump to media player A Somaliland team had beaten six other squads from diverse communities to face a South Wales Police Select XI in the Cardiff Community Cohesion Cup at the Principality Stadium. Sport Wales went to the match. 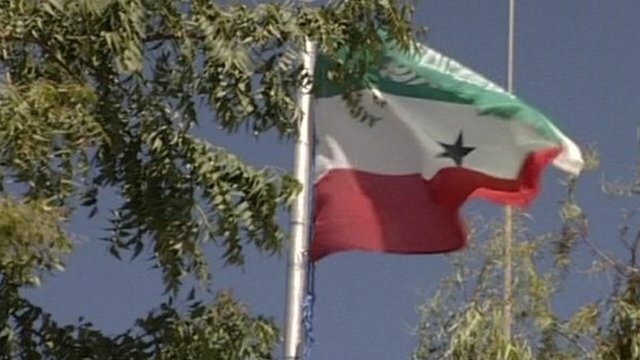 It was a game that made the news on Somaliland TV. Somaliland: The non-existent country Jump to media player Zeinab Badawi visits Somaliland, a country that does not officially exist. Why is UAE building a military base in Somaliland? It has proved controversial among neighbouring countries in the Horn of Africa. Tomi Oladipo explains the reasons behind the deal.